Don’t get me wrong…the workload, for me, this part of the year is different. But it is certainly not extinct. So, as a reminder to some…perhaps, an explanation to others…I’m still traveling nearly ever week. Some weekends, I actually travel even more than I did the first half of the year. Two weeks ago, I had the double: 2 series in 2 different states. But, this week, while the rest of the NASCAR world enjoyed one of the most coveted stops on the NASCAR schedule, I savored my first off-weekend since Easter. So, no wine for me…and no whine either! My little girl and I have been taking walks…playing games…turning up the music…and, most importantly, leaving the suitcase in the closet! The NASCAR Camping World Truck Series broadcasts on Fox Sports One. So…no off-season for me, just yet. Better check again in December! 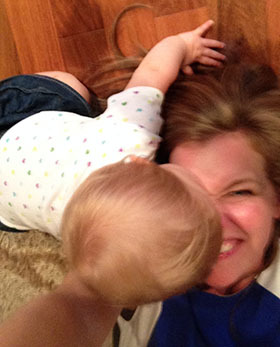 Voda Blog: What Down Time for a Working Mom?